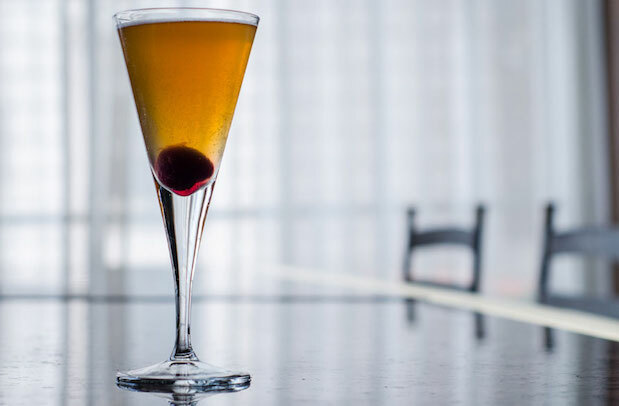 It’s the end of April and there are plenty of reasons to have a sip in celebration, including swell recognition that a few of our local distillers have recently garnered, and the 40th anniversary of one of our oldest drinking institutions. Read on to get all the imbibable details. Woodinville Straight Bourbon Whiskey wins Best of Class: Released last September to much acclaim, Woodinville’s Flagship Straight Bourbon whiskey is continuing to garner praise – most recently at this year’s American Distilling Institute awards in San Diego. First, it picked up the Best of Category Gold Medal for straight bourbons over five years old. And then it came home with the Best of Class award for all whiskies. That covers bourbons, ryes, single malts, and any other whiskies you can think of. A fantastic pick-up for a smooth, memorable whiskey. 3 Howls Gin wins Double Gold: SoDo-based 3 Howls distillery’s Navy Strength Gin picked up a Double Gold Tasting Award at the illustrious San Francisco World Spirits Competition recently. Out of 1,899 entries, only 17 gins received the top double golds (and just 201 throughout every category in the competition). If you don’t already know, the Navy Strength gin is made in British navy style, which means it carries a little kick (about 12 percent stronger than most gins), and it has a London dry taste, with a rich juniper flavor, but also with hints of citrus. 3 Howls’ spirits are also now available at Total Wine and More stores across the U.S.
Oliver’s 40th Anniversary Celebration and Cocktail Class: The martini haven and downtown bar in the Mayflower Park hotel is celebrating its 40th year. Opening as Seattle’s first daylight bar (after the state’s Blue Laws were repealed, people could view into bars from the street) in 1976, the bar is has a host of fun birthday activities happening, including a historical gallery, special cocktail to match the occasion called the Regal 40 (with Plymouth Gin, Esprit de June, Pimm’s, sweet and sour, Peychaud’s bitters, and Cava sparkling wine), and a keepsake 40th anniversary Oliver’s recipe booklet. Plus, it's hosting a cocktail class ($30) on May 12, from 5:30 – 7:00 p.m. with past and present star bartenders. Register for it and learn all the details at www.mayflowerpark.com/Olivers. Cadée Cascadia Rye wins American Distillery Award: The recently opened Cadée on Whidbey Island just released its Cascadia rye, which is matured for at least 12 months in new American Oak barrels, before being double-barrel finished in French oak casks that had held 20-year-old port at sea level on the shores of Port Clinton. And it has already gotten an award from the American Distilling Institute. If you haven’t yet stopped by this friendly island distillery to visit with Scottish distiller Colin, make sure to add it to your itinerary.